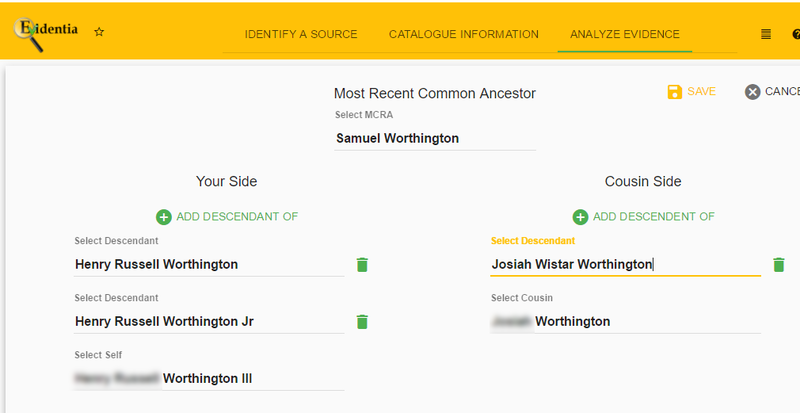 In Evidentia V3.1 Cousin Research Tracker first try I got us started in this process, now I am going to start a new Cousin Tracker person, from the We’re Related APP. 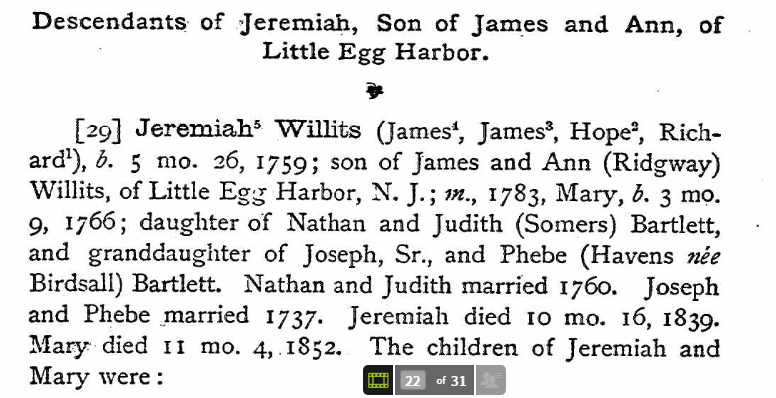 I selected New Cousin and select the Pencil (Edit) ICON to start a New Research Log. I have recorded the information from the APP on my smart phone and entered it into an EXCEL worksheet. And will enter my side and to my We’re Related Cousin’s side. 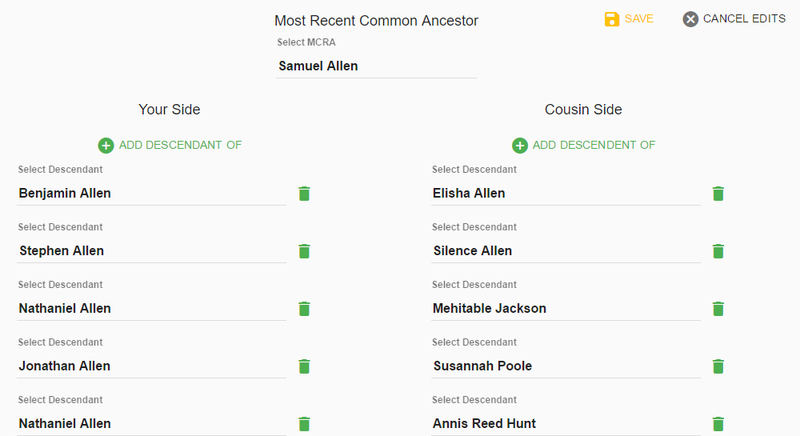 I entered the Common Ancestor from my spreadsheet into the MRCA (Most Recent Common Ancestor fields. I entered my name the Select Self field and my APP Cousin’s name in the Select Cousin field. Since these three names are NOT in my database, I enter the name and hit the ENTER Key to add the name to this database. In the “Your Side” there is a green + sign and Add Descendant Of and a field will be there to enter names. Each name will have the birth and death year, as provided by the APP. Here is the completed screen. 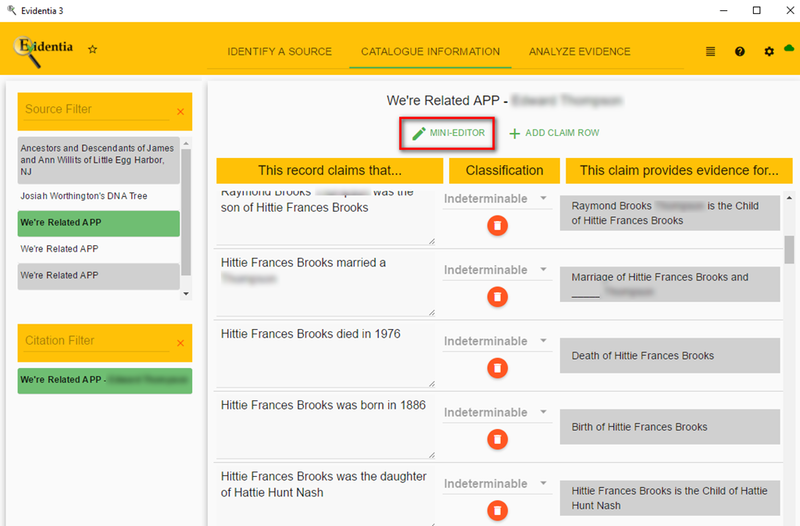 But, I don’t want reports show this, but it will be helpful when I work a little more with this database. Once this is Saved, and I close this task, I go to the Manage List ICON and select List Manager. 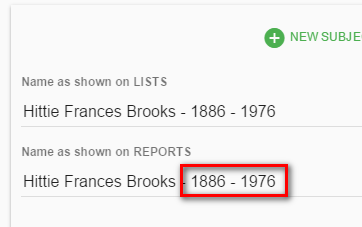 With the list of individuals appears, I select each of my new entries and remove the Dates from the Name as shown on REPORTS field. 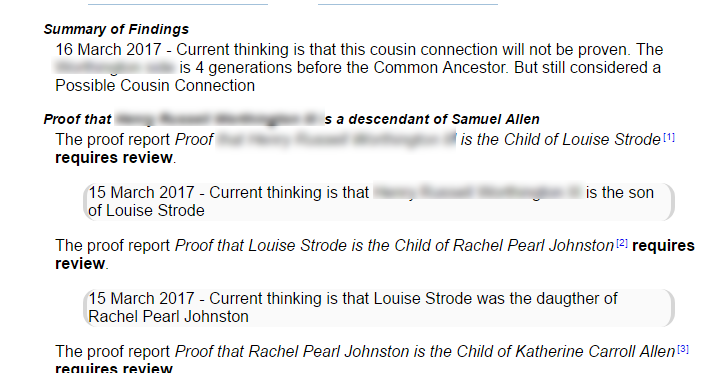 The previous list of cousins, now looks like this. 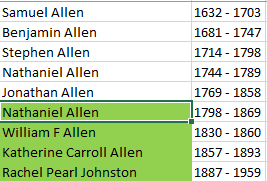 Here is an example, from my spreadsheet above, as to why I have done the name to include the dates. 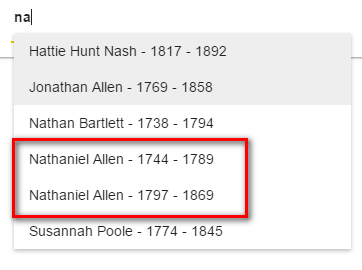 I can tell that there were two Nathanial Allen’s and will see that it is a Grandfather / Grandson that I am working with through the rest of process. 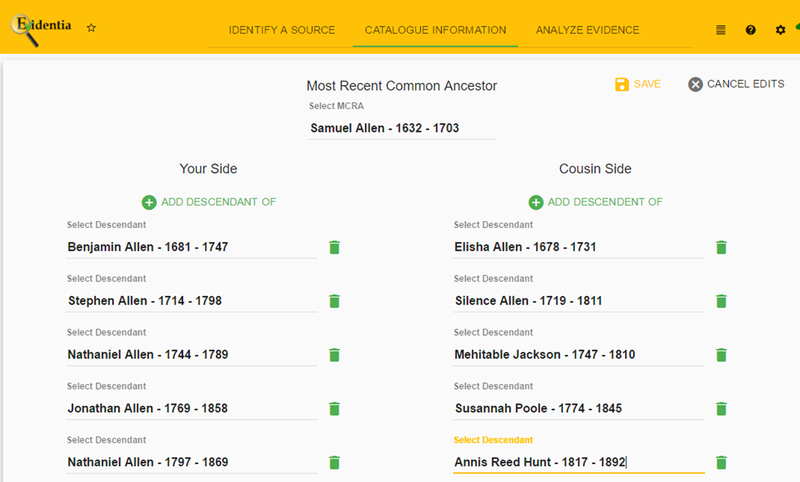 So far, I have taken the information from the We’re Related APP and have that information into Evidentia. 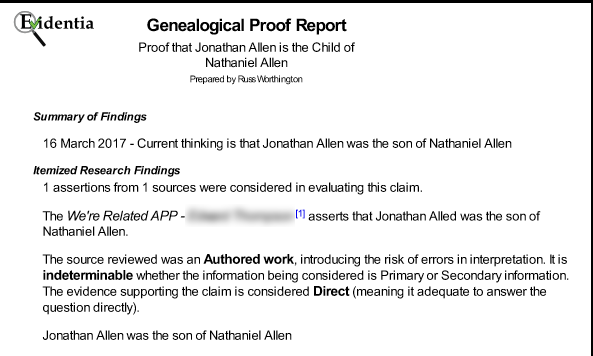 I probably will not do may detailed blog posts on the use of Evidentia, like creating a Source, Creating a Citation, inputting the Claims and the other steps of Evidentia. I will do several blog posts on findings along the way.